We are keen to increase our support for environmental work beyond India and this year, for the first time we have partnered with the Whitley Fund for Nature. We’ve sponsored one of their awards which give funding and wider ongoing support to outstanding nature conservationists around the world. Winning an award (often referred to as the ‘Green Oscars’) offers a spotlight to some of the best locally-based environmental work in the world. 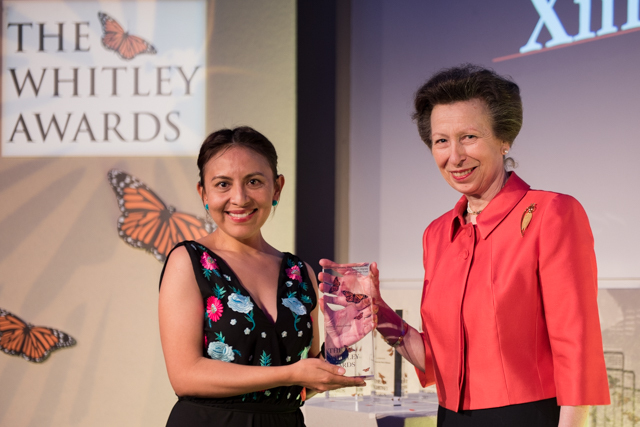 We were delighted to meet ‘our award winner’ Ximena Velez-Liendo. With 18 years of experience working with bears, her cross-disciplinary project will generate the first population estimate for bears in the country and scale up efforts to quantify human-bear conflict. The results will be used to support a national plan for the species’ recovery and develop strategies to enable coexistence with farmers.